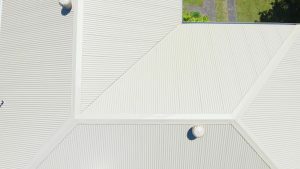 This fabulous roof structure has come up a treat. 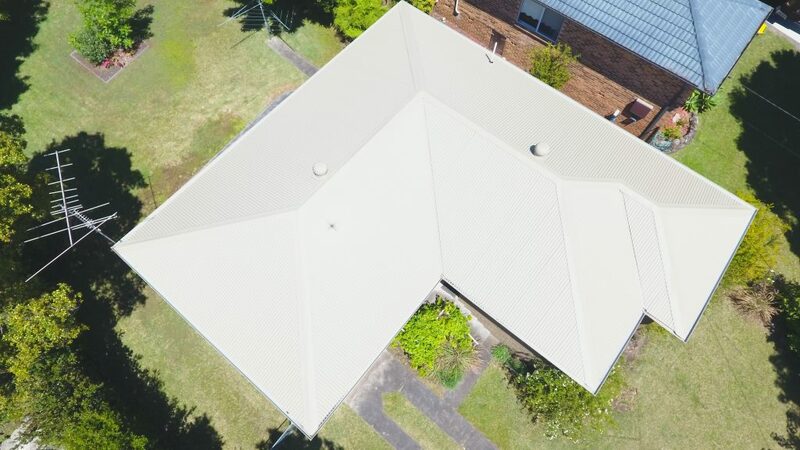 Tile to Colorbond and metal re-roof transformation in Niagara Park, using 0.48bmt Custom Orb sheets in the colour Cove. Ace half round gutters with downpipes and matching whirlybirds were installed. 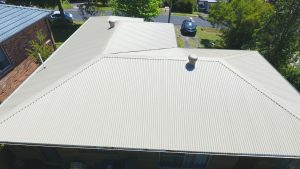 See the Niagara Park Colorbond Metal Roof video here.